Showers are heading North early this morning, and temperatures are warming up today. More showers return in your extended forecast. Looks like you can feel free to leave the umbrella at home across the majority of Northern California today. Some showers may linger in the Northern Mountains, and coastal areas early today. 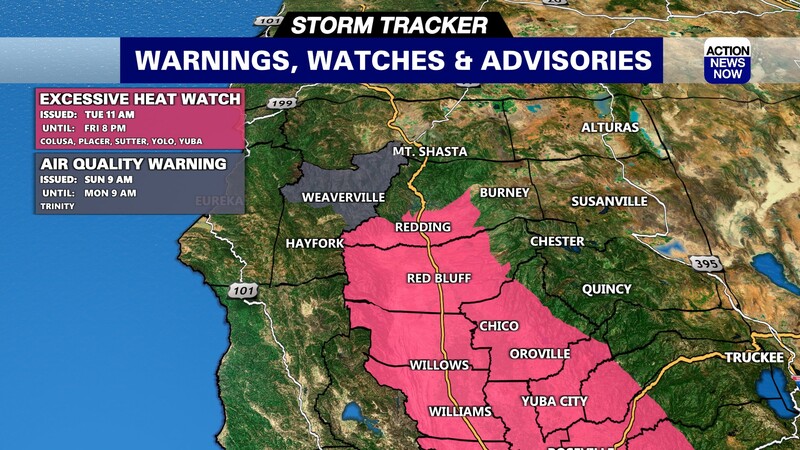 Dry weather will be ahead for all of Northern California by late morning. Some patchy fog will be possible to start your day, so visibility may be impacted for commuters. Temperatures have dipped into the high 40's to low 50's in the valley overnight, and into the high 30's to mid 40's in the mountains. High temperatures are projected to end up in the mid to high 60's for the valley this afternoon, and into the mid 50's to low 60's in the mountains. Winds will be up to 10mph out of the North today. Staying mostly dry for your Wednesday, but there will be a slight chance for a stray shower in the Northern Mountains. Fog will likely be a factor for drivers on Wednesday morning. Temperatures will be in the same range for tomorrow morning, but high temperatures will be a few degrees warmer. Valley areas are expected to top out in the low 70's Wednesday afternoon, and mountain areas will end up in the high 50's to mid 60's. 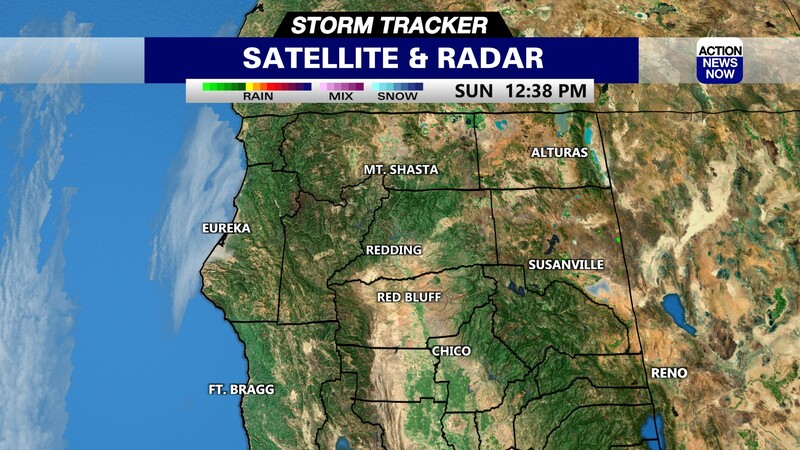 Showers are looking likely across the Northern Mountains, and even in portions of Shasta County on Thanksgiving. 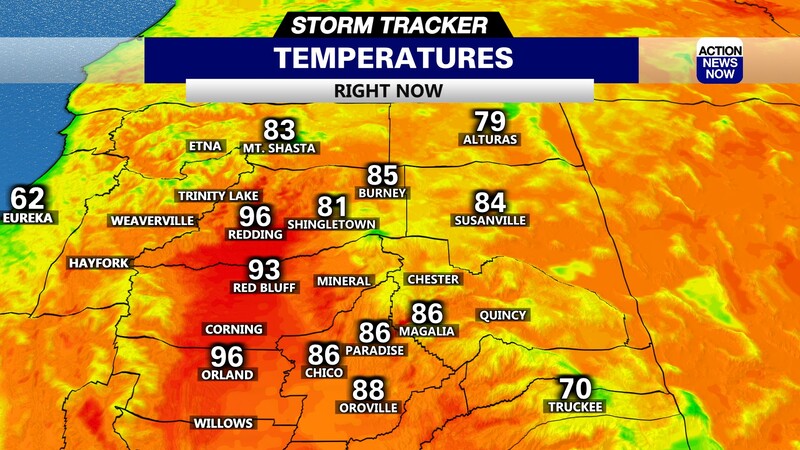 Most areas South of Shasta county look to stay dry in the latest model runs. Temperatures will end up in the mid 60's for the valley, and mountain areas will mostly be in the mid to high 50's on Turkey Day. Temperatures are not expected to change much from Thursday through Sunday, but showers will become more widespread by Friday. There may be a break from the showers on Sunday, but a more substantial system looks likely for the start of next week. Dry & warmer weather returns for your work week!